The juniper species Juniperus polycarpos C. Koch, J. indica Bertol. and J. communis L. var. saxatilis (Pallas) are important elements of the forest vegetation in Lahaul valley in the north-western Himalaya. Their ability to grow under the barren and xeric conditions of cold deserts makes them particularly suited for afforestation programmes under these ecological conditions. In the Lahaul valley, juniper species are used as subsistence resources and for religious purposes. Excessive removal of juniper wood and leaves by the local population, overgrazing, habitat fragmentation and low regeneration potential are the main obstacles to conservation of juniper forests in this region. The present study was carried out to assess density, basal area and importance value index (IVI) of the local vegetation as well as uses and amounts of juniper wood and leaves removed from the local forests. 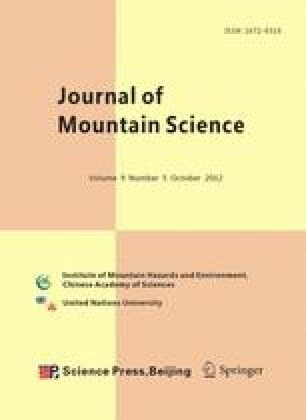 Pressure on relict juniper forests due to grazing animals and intensive removal of wood and leaves by the local population was found to be greater at an altitude above 3,000 m. The results of the study demonstrated that the different juniper species were adapted to specific altitude ranges. A higher species density was recorded at lower altitude except for J. indica which was only present at high altitude (>3,200 m) on south-facing slopes. Density, basal area and IVI of J. polycarpos were higher at Hinsa (2,700 m) than at Jahlma (3,000 m). The rapid loss of vegetation due to overuse and habitat degradation has made the conservation of juniper forests an important priority in the Lahaul valley. J. polycarpos at lower altitude and J. indica at higher altitude are ecologically the more suitable species for the successful implementation of conservation programmes. The support of rehabilitation programmes by regional authorities is essential for the reestablishment of the local juniper forests.